Surely you have noticed that people are eating more than just rice, potatoes and pasta and that a lot of recipes with things like couscous and quinoa are going around. You may not have been curious to taste them yet, but you should at some point. And when you do, it is important to know what you are eating. If you need a bit of help in that department, keep reading this article. Couscous is a staple food tradition to the area of North Africa. It consists of small steamed balls of semolina (a wheat by-product) that are usually served with meat and sauce on top. It is very versatile; it can be used as a base for meat, added to salads, or even included in muffin and pancake recipes. The product sold today in Western markets differs from the traditional one. For starters, it is almost all designed for instant cooking and is made by machine instead of by hand. 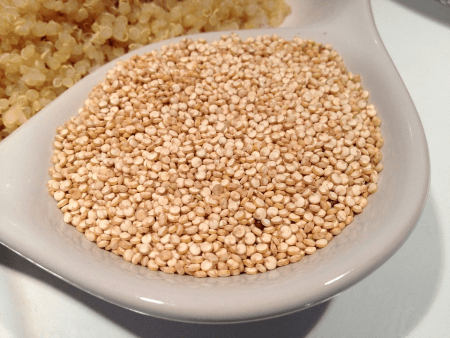 Quinoa is a grain grown for its edible seeds. It originated in South America in the Andes Mountains, and it is a traditional meal in Chile, Peru, Bolivia, and Columbia. After harvesting, the quinoa seeds must be stripped of their outer coating, as it tastes bitter. As far as the nutritional value of quinoa is concerned, it is highly rich in antioxidants and has great anti-inflammatory properties. Quinoa is considered a “super food.” It has healthy amounts of fats that are good for the heart, and it can also provide small amounts of omega-3 fatty acid. So what is the difference between couscous and quinoa? 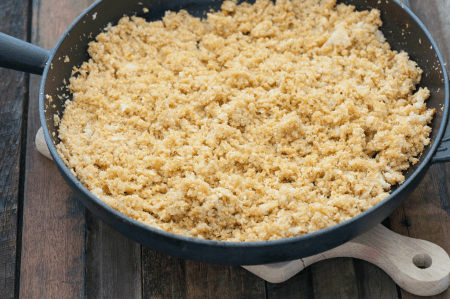 Couscous is made from wheat, whereas quinoa is made from the seeds of the quinoa plant. When compared with the main foods we are accustomed to eating, couscous is more similar to pasta and quinoa is more similar to rice. Quinoa is specific to South America, while couscous is specific to North Africa. Nutritionally, quinoa has more value than couscous, which is a wheat by-product. Consequently, of the two, only quinoa is gluten free. As far as traditional production is concerned, both used to involve quite a lot of labor, as couscous used to be rolled by hand and quinoa seeds had to be stripped of their bitter outer coating. Now both of these processes are done by machines. Both of them are multipurpose foods and can be used in a variety of dishes.